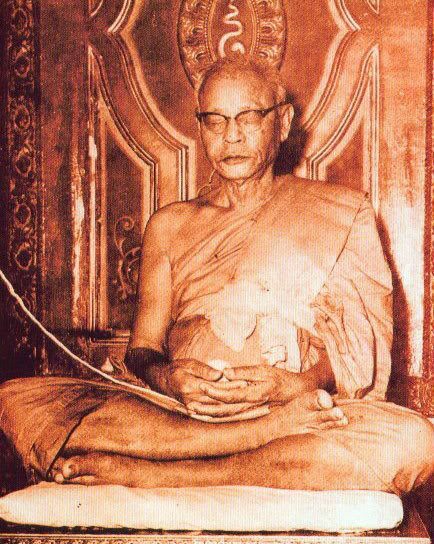 One of the greatest guru of present time who leaves to the age of 109 years from King Rama 5-9 era. 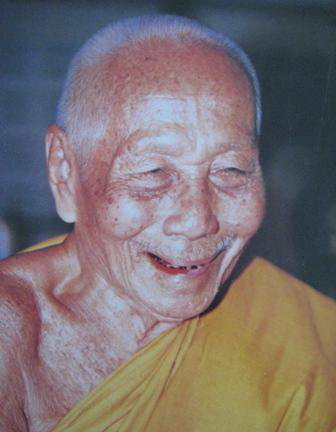 Born on 15th April BE2437 at Ban Jan district, Sisaket province to farmer parents. 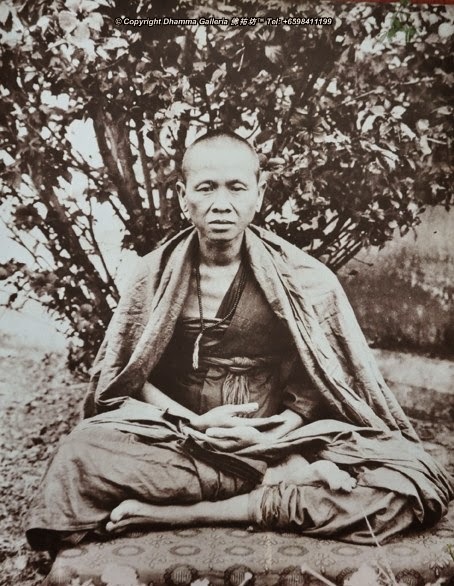 He was a novice monk at the age of 14 and practiced Buddhism under the guidance of Phra Acharn Sida, the abbot of Wat Ban Jan before ordaining as a monk in BE2460 at the age of 23.
more on Dharma and Magical practices. 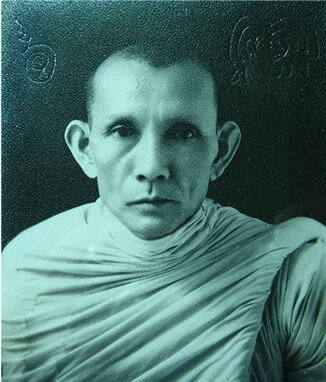 He spented more than 50 years meeting many great gurus and inherited the skill of making sacred powder (Phong Itijie, Phong Puttakun, Phong Trini Singhe, Phong Patamung and Phong Maha Raj) especially from Phra Acharn Si Chantasiri, who was from the same linage of Somdej Phra Puttakjan Toh, Wat Rakang temple. 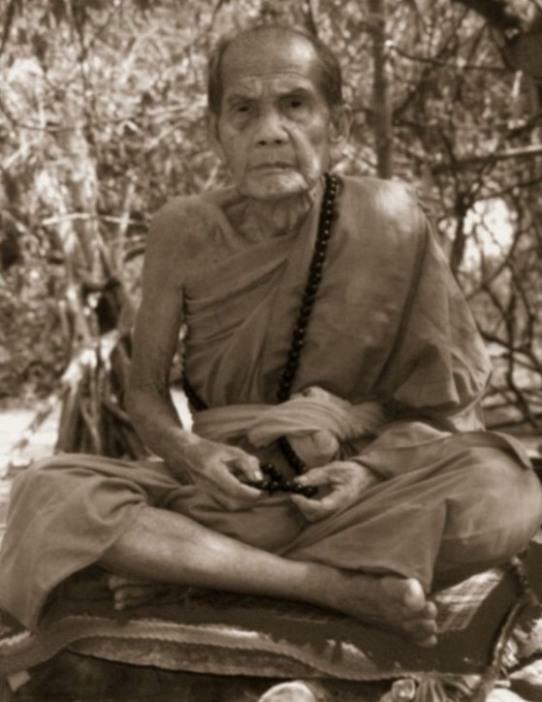 These five sacred powders were important ingredients for making effective amulets. 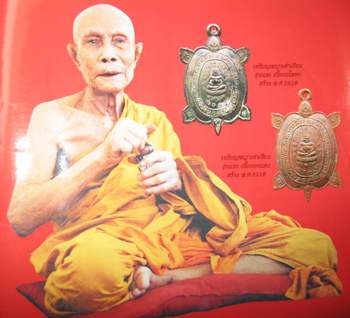 Luangphoo Moon also learned making of alloy-based amulets from Somdej Phra Sangaraj Pae and Mitmor (Magical Knife) from Luangpu Kam and Luangpor Ngen, both teachers of Luangpor Derm Wat Nong Poh. 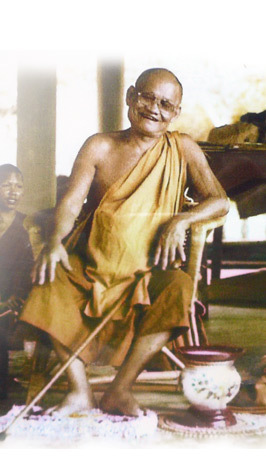 besides the above mentioned gurus, Luangphoo Moon also excelled in a very high level of wicha Akom (magical skill) from Luangpu Dam and Luangpu Maha Peng Wat Lam Duan both are highly respected disciples of The Great Somdej Ron of Nakorn Champasak Laos. 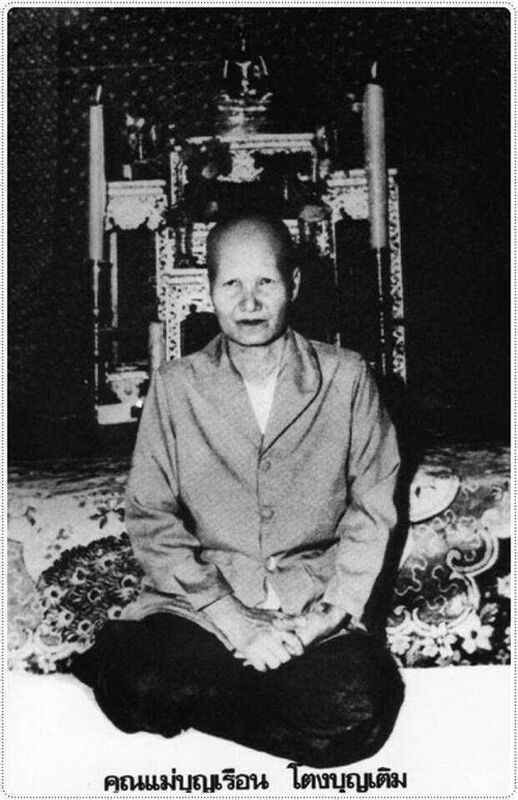 Amulets created by Luangphoo Moon were very effective and highly sought-after by followers. 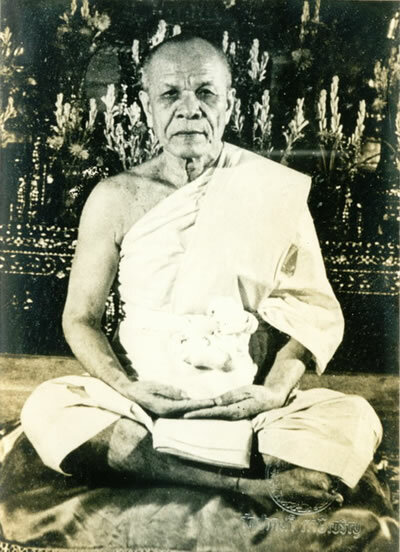 Phra Luangta Maha Bua of Wat Pa Bantard temple once said to those who are seeking good and effective amulets to go to Luangphoo Moon. 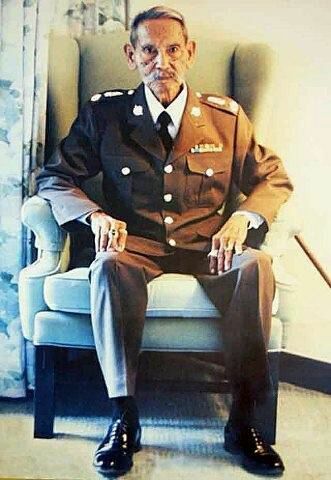 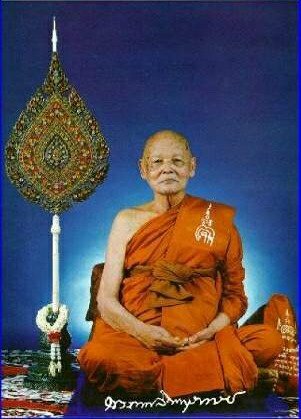 Luangphoou Moon returned to Wat Ban Jan temple in BE2520 and passed away in his hut on the 11th March BE2546 @ 0730am at the age of 109 years and 86 years with the monkhood.